Anyone who has recently visited an airport has witnessed the travel industry's propensity to retain outdated and archaic technologies. From dot-matrix printers to old terminals deployed by airlines for seat management and other activities on the administrative side, air travel especially remains an antiquated affair. However, this reality is not just endemic to the experience at the flight counter, but extends to the entire travel industry, which has largely stagnated in lieu of limited efforts towards innovation. While a few services have sprung out of the internet era to smooth over some of the friction associated with building travel plans thanks to online booking and review services, they have not entirely solved many users’ pain points. In many cases, these monopolistic forces have created numerous asymmetries that do more harm than good when it comes to travel, mainly by adding to the costs associated with tourism instead of adding-value. Thankfully, technology is once again coming to the rescue, this time in the form of blockchain and its revolutionary capabilities that can streamline services and help eliminate redundant intermediaries from the equation. "No other industry needs decentralization like the tourism sector. 4-5 companies control a $3.2 trillion market. Companies like Expedia and Priceline have created elaborate ecosystems that give consumers a false sense of variety and reality, when in fact they are in an echo chamber of predicted options," Itay Nagler from CoolCousin told me at a recent blockchain event in London. Those familiar with the process of booking travel online know that the prices they see may not be the final amount. The current costs that result from the de facto monopolies in place in the industry mean that extra fees and surcharges are the status quo. If looking to book a destination, chances are users will find their way to one of several major hubs to purchase airfare, rent cars, and book a hotel room. Companies like Priceline and Expedia, each of which own several brands along the value chain, have positioned themselves as the de facto gatekeepers for most travelers seeking to jet set thanks to their exceptional marketing efforts which place them in between the companies providing services and the travelers themselves. One company working to unseat these monopolistic forces within the industry is TUI Group, a European travel and tourism multinational that has built its own blockchain and smart contract system to effectively reduce property booking costs. By bringing together disparate property management systems into a single chain and automating the platform with smart contracts, TUI has arrived at the formula for cutting overheads and delivering a lower cost solution to travelers. In fact, the company has switched to a more vertically integrated model fearing that the traditional business-to-business approach will be made obsolete thanks to blockchain. However, the one area where TUI has been met with criticism is its deployment of a private blockchain instead of a public chain that ensures that no one group has gatekeeper status over a chain. Another major component of the travel experience ripe for disruption relates to when a traveler reaches their destination. While guidebooks long played a role for individuals seeking to map out the local attractions that aspect eventually went digital thanks to hubs like Lonely Planet and TripAdvisor. Travel to any foreign country and you’re likely to encounter the TripAdvisor sticker on the door of many local restaurants. The site is wildly popular thanks to its centralization of many travel-related functions like booking tables and tours. However, this centralized system also highlights TripAdvisor’s disadvantages, namely poor customer service when individuals encounter problems from bookings, preferential listing treatment from paying businesses, and fake reviews that have become a hallmark of the industry’s reputation practices. Cool Cousin, aimed at the Millennial and Generation Y tourist demographic, has developed a peer-to-peer service that seeks to overcome the biases associated with online tourism hubs by enabling direct interactions between locals and travelers, helping empower each of the stakeholders. Thanks to its blockchain-based design complete with a tokenized protocol, the platform provides a self-governed community that enables locals to monetize their unique knowledge of their surroundings while helping tourists navigate the scene at a lower cost and avoid the inherent favoritisms displayed at most online travel hubs. Furthermore, it eschews the unfavorable commercial conditions inherent in existing hubs by preventing the company from using its position for monetization through special placements and treatment. One of the most common complaints for travelers is poor customer service when they encounter problems with booking or other unforeseen circumstances, resulting in countless hours lost fighting with customer service agents and bouncing between representatives. Everyone has seen the exasperated look on the face of a passenger being told they will have to speak to another individual or team to have their problem resolved. 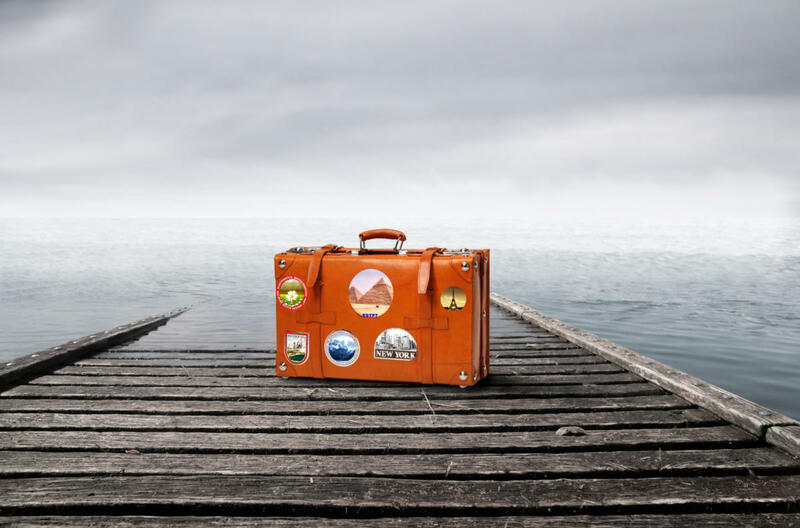 While some credit card companies have stepped in with their own travel centers, insurance policies, and even personal concierge services, the actual travel companies themselves have a long way to go towards bolstering their customer service credibility. Just ask the numerous individuals and businesses complaining about the problems they encounter when booking on TripAdvisor and the lack of service that accompanies their inquiries. One company working to change this poor service paradigm is blockchain-based data exchange TravelChain. Ultimately the vision of the company is to revolutionize the travel industry by personalizing the process, helping both individuals and businesses get more targeted results based on available information. For individuals, the data that they generate via verified personal profiles can be monetized for tokens issued by the system. On the other side, businesses can analyze this vast trove of customer data to refine their processes to improve customer engagement. Furthermore, it will enable both service providers and travelers to bypass the major gateways that currently put a stranglehold on the tourism industry. Although not a silver bullet for customer service, TravelChain highlights what is possible when both stakeholders in the tourism equation are properly motivated. Every traveler has encountered less than perfect experiences at one point or another within the tourism value chain. Oftentimes these situations lead to humorous stories in hindsight, but more often are a source of frustration and added expenses. For an industry that has been resistant to incorporating evolving technology into the mix, travel and tourism is ripe for disruption that will touch on every phase of the customer experience, from arranging plans to discovering new destinations with a local perspective. Service providers will also benefit, but it ultimately depends on all stakeholders embracing the valuable technology ecosystems being touted by the newer entrants to the industry and their plans to shake the foundations of the tourism industry.